We offer optimum quality wiring harness for various application. Use of qualitative raw material like copper and plastic make them sturdy in construction and reliable. Apart from manufacturing standard range we also offer our valued customers the facility of customization as per their specification. We are the manufacturer of wire harness. 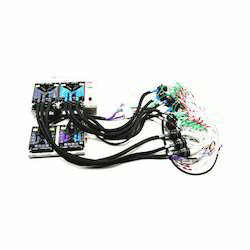 We are manufacturer of all 3w wiring harness with good quality and standars. For the diverse requirements of our clients, we are engaged in manufacturing and supplying a wide array of Wire Harness in Noida, Uttar Pradesh, India. This range of wire harness is made using top quality raw material and advanced technology. We provide this range at moderately prices. Elentec Malaysia manufactures the wire harness for TVs, washing machines, microwave ovens and other home appliances and supply to the overseas factories of Sansung Elenctonics. We offer a wide range of Wiring Harnesses to OEMs’ working in the field of consumer electronics. 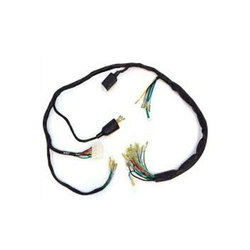 The Wiring Harness that we provide is also famous with the name of cable harness. The Harness is assembled using PVC insulated wires of different configurations which are also extruded in-house.